Lenovo launched Lenovo K6 Power in India today(29th November). 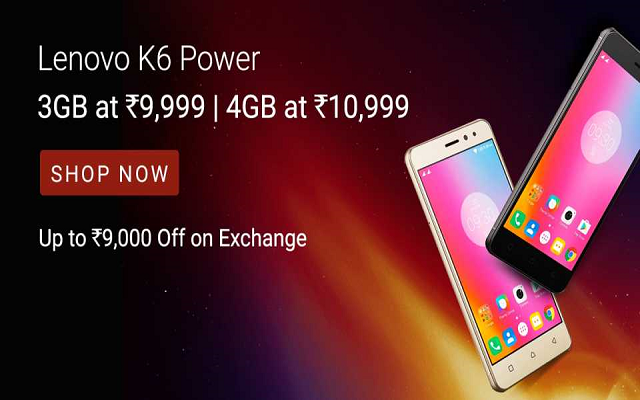 Buy Lenovo K6 Power (3GB RAM, Rs.9,999 | 4GB RAM, Rs.10,999) exclusively available on Flipkart. Limited Stocks. Stay tuned with us for more updates on Lenovo K6 Power Open sale !! 2. 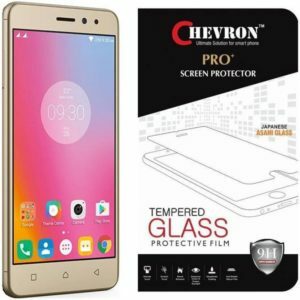 Visit Lenovo K6 Power(3GB/4GB) sale page. The Lenovo K6 Power packs a 5-inch 1080p display, is powered by an Octa-Core Snapdragon 430 processor and has a huge 4000mAh battery that promises up to 96.5 hours of music playback, 12.6 hours of web surfing, up to 13.6 hours of video playback, 27 days standby. It also has USB OTG reverse charging to charge other devices. 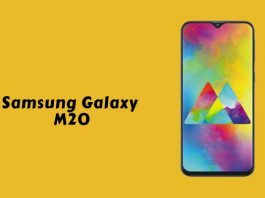 It also has a unibody metal design and a fingerprint sensor on the back. The Lenovo K6 Power also has TheaterMax technology, an immersive VR experience when combined with a VR headset. It comes in Dark gray, Gold and Silver colors. Lenovo K6 Power 3GB RAM variant priced at Rs.9,999 and 4GB RAM for Rs.10,999 exclusively available on Flipkart. Lenovo K6 Power will be available in Flipkart from December 6, 12:00 pm. It will probably be a limited edition sale. Subscribe to our push notifications and mail to get notified before sale and other Lenovo K6 Power Flipkart Offers. 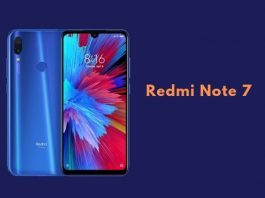 Previous articleMi 5c | First Surge S1 Smartphone – Features and Specs !!! lenovo k6 phone is dirty. no services in india. services centre. services centre chgarges pay problem solve. Nice mobile.. recommended to all smartphone lovers. 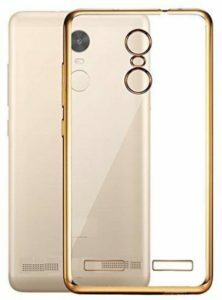 Comment: i want to lenovo k6 power in gold color . it is having superb battery backup and everything is fast.such a best mobile. Please tell me that this mobile Lenovo K6 power can be book by C. O. D. Option on this sale??? I want lenovo k6 smartphone on next sale. I want lenovo k6 power smartphone. Lenovo K6 Power Next sale on 27th Dec @ 12 Noon. 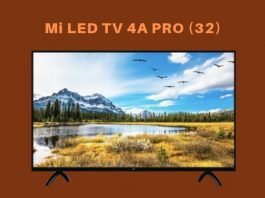 How do you have information about the sale on 27th? I don’t see any announcement on Flipkart or anywhere else. Lenovo K6 Power Next sale on 03 Jan,2017. Follow this page for more updates !! when a next sale of lenovo k6 after 18 dec.
Lenovo K6 Power Next sale on 27 Dec @ 12 Noon. I was not able to buy it today during flash sale….when will the next sale be organised? I need lenovo k6 phone power because i like lenovo brand. I want this phone because i like very much lenovo brand and its features so plz give me opportunitie to buy this phone. Please Ganesh Babu tell me for how much time the Lenovo K6 power sale will be on? Its now a flash sale because of limited stock please provide some trick as soon as possible. Lenovo K6 Power Flipkart exclusive is a limited edition sale and not a flash sale. Where did you see it as a flash sale? Lenovo K6 Power will be available starting from 06th Dec on Flipkart. Stay tuned with us for more updates ! !